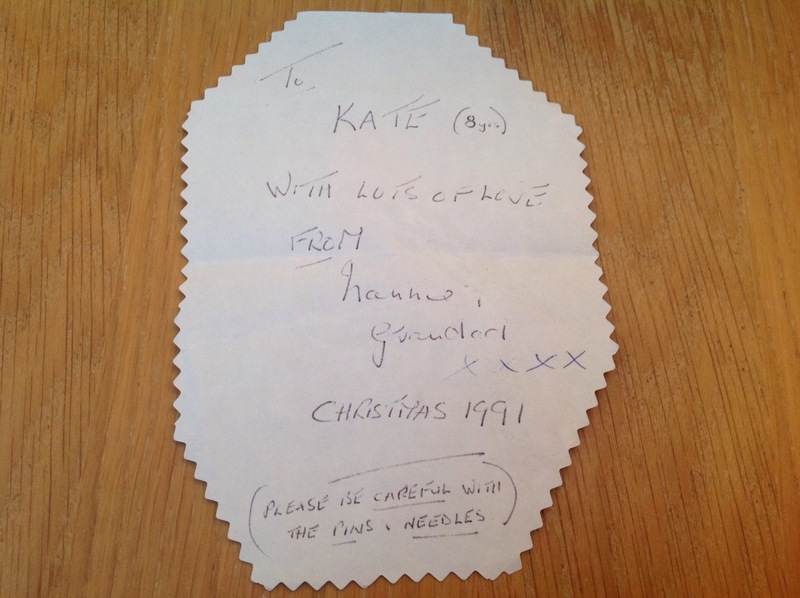 It had remained at my parents’ house since I went to uni and only came back into my possession a year or two ago. It probably hadn’t been opened for getting on for 20 years! There’s a few kits in there half completed and some uncompleted ones. Well, I must admit, the box itself is in the loft because it’s past its best (I’m saving it just in case I was ever to have a girl). 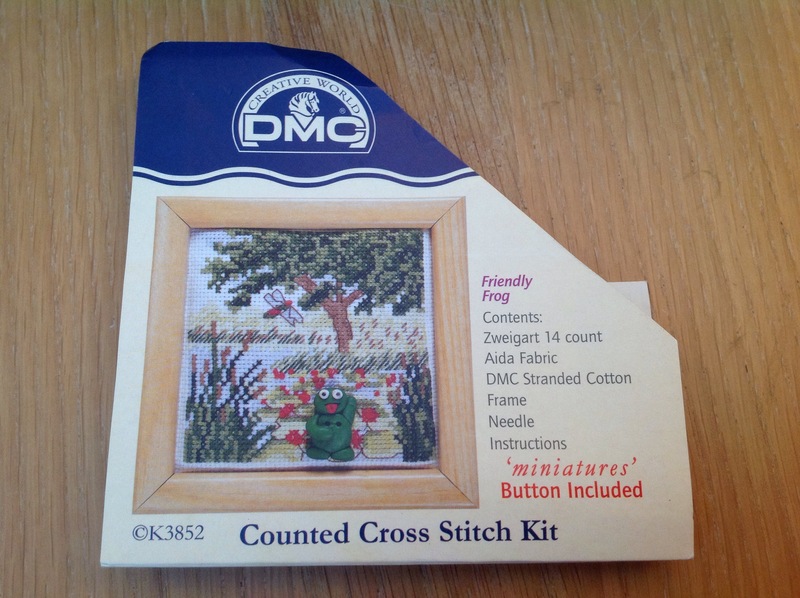 I selected a DMC kit called ‘Friendly frog’. 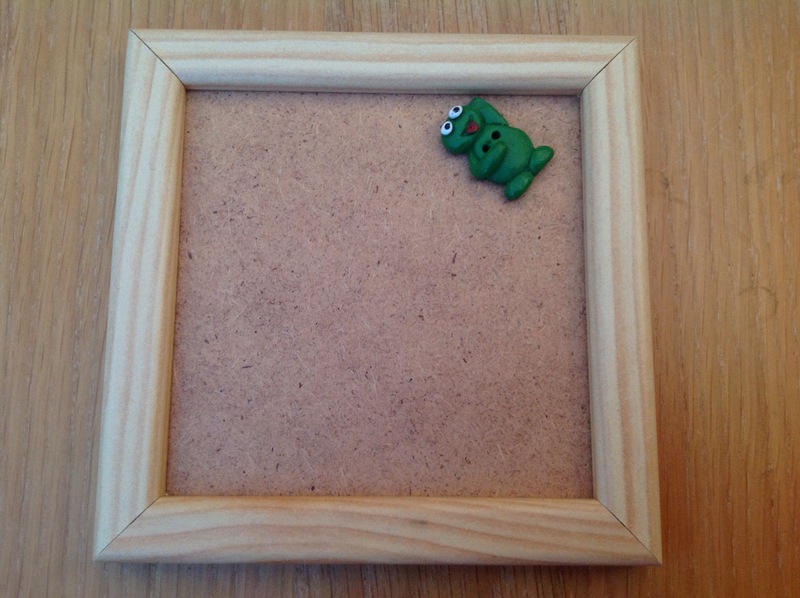 It comes with a frame and a frog button. 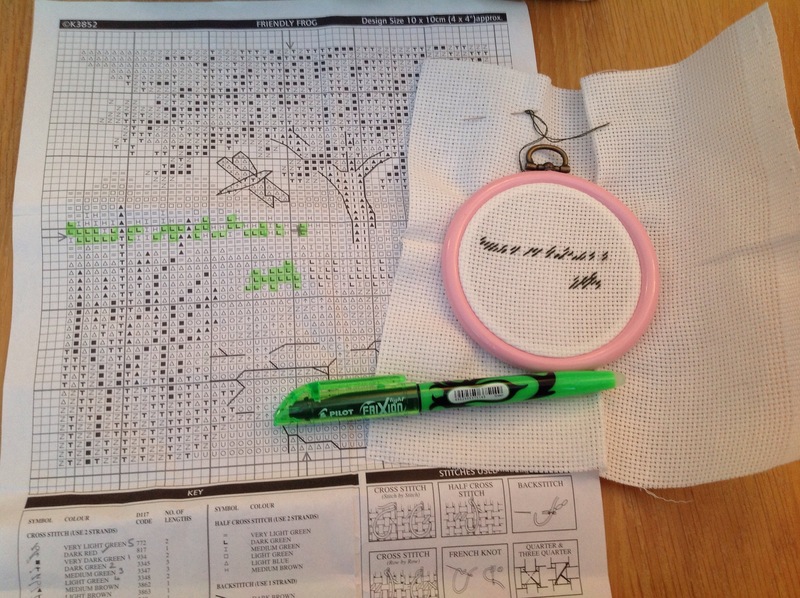 Having sorted my threads out over a Coke and bag of crisps at lunchtime, I managed to get started on the half stitches on the train journey home from work. My new Frixion highlighter got its first use! But I need a bigger hoop. Cute frog! I saw the hoop and thought ‘what a good idea to avoid annoying people with a large hoop’ but yeah, it does seem rather awkward!